The first vampires of history were all female. Surprised! So was I when I researched the history of vampires. Vampire stories have appeared in one form or another in nearly every part of the world. Probably the first vampire creature was Lilith. She was Adam’s first wife, who refused to be subservient to Adam and left the Garden of Eden. She seduced young men and drank their blood in vengeance. Also there is Lamastu and Lamia both described as stealing children from their beds and seducing young men. They were known as succubus, a female demon seducing men and draining them of their life force. Sounds like a vampire!!! Many other vampire creatures have been written from nearly every culture across the world. The dead being reanimated and seeking the life force of others to survive. These creatures tended to be depicted as monsters and horrific to look at. Things changed and along came Dracula, a handsome charming vampire seducing hapless females into his grasp. A role reversal from the original vampire type creatures in historical texts. I remember watching Dracula films as a teenage boy at home alone. Being scared and intrigued by the character, and wishing I could have the power of vampire. It would make life a lot easier as a teenage boy. More Dracula films followed and copies. I first noticed a change in the way vampires were depicted in the Buffy series with Angel. Angel the vampire who had regained his soul. He sought redemption by protecting Buffy and her friends. This lead to the attraction of opposites, Vampire and Vampire Slayer, star crossed lovers. This was the first time I noticed a popularised vampire romance story. Buffy remained the stronger of the two, she didn’t need rescuing, she was the rescuer. Buffy turned the whole vampire culture on its head. Then switched around again with Angel losing his soul again and turning back to the Vampire monster, then back again to the vampire with a soul. The lover story full circle and the knowledge they can never be together, as his fulfilled love for her would lose his soul and put everyone in danger. 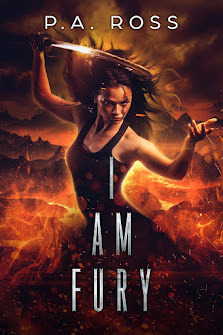 There could only be one Buffy, but the idea of a humanised vampire hero has remained. In many books and films now the vampire has become the hero, but has been humanised to some level to create an emotion bond with the audience. Blade the half human vampire tracking down and destroying vampires. In Underworld, Selena the vampire-death dealer, protecting her coven against the werewolves and discovers her life as a vampire has been a trick. She protects a man who is being sought to become the first vampire/werewolf hybrid. Selene is the hero saving the day. Vampires as the heroes and humanised through their emotions. Both these stories give us the belief you could be a vampire, but yet retain your humanity and be a hero without being a monster. Role reversal has always been away of reinventing the stories and each time it brings a little change. From Lilith to Dracula. Dracula to Buffy/ Angel and to Selene and Blade the hero vampires. Finally, onto the last role change of Bella and Edward, humanised vampire, and a story of star crossed lovers. However, I have yet to see the role reversal of the Twilight formula of Boy Meets Bad Girl. So I thought I would write it. Plus I wanted to re-capture the original spirit that interested me in vampire stories. What would it be like to be a vampire? To have that power and its responsibilities and to suffer its consequences. So let’s turn the recent formula on its head and give it the spark of a new angle, a new relationship dynamic. Boy meets Ultimate Bad Girl Vampire. He tries to tame and humanise her. I doubt it!! The dynamic in the reversed roles is completely different and would take a different route. It also needs a new twist to take the vampire story on its on unique path and help develop the vampire culture even wider. 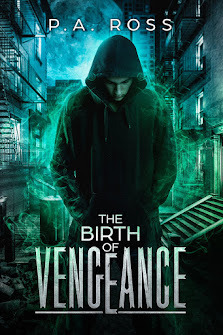 The book ,”The Birth of Vengeance”, takes you on this journey into a new world of vampires and a new relationship between a human and a vampire not told before. However, as I write this blog on the history of vampires I realised my story takes us full circle. My twist using role reversal is in fact bringing us back to square one. We are back to the female vampire seducing the young innocent men as first noted by Lilith, Lamastu and Lamia. My story could be seen as a role reversal of the Twilight genre, or a re-imaging of the first vampire stories. You decide! The book is going through a few rounds of editing. At the stage of planning in a release date. Plus organising beta readings. If interested then you can contact me. Plus if you want the chance to win a copy of "Truth of Vengeance:Vampire Formula #2"
I will be giving away copies as part of the book launch. Plus sample chapters will be available and a cover reveal. Giveaway ends March 10, 2014. I have often tried to pinpoint the events that set me on this bloody path. When did the dark seeds of my vengeance get viciously stamped into the mud of life and watered with blood to sprout fang and claw? Many of the key events are obvious, but there are others that played a crucial part. My mother dying when she gave birth to me is an obvious event, and my father working for the government in genetic engineering is another. However, one day existed when events occurred in parallel that undoubtedly lead me to this dark place. 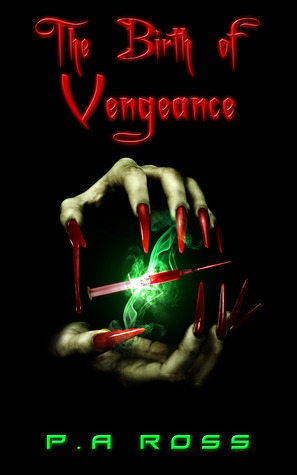 This short story is a prequel to the "The Birth of Vengeance," and the beginning of a vampire series of books. I have often tried to pinpoint the events that set me on this bloody path. When did the dark seeds of my vengeance get viciously stamped into the mud of life and watered with blood to sprout fang and claw? Many of the key events are obvious, but there are others that played a crucial part. My mother dying when she gave birth to me is an obvious event, and my father working for the government in genetic engineering is another. However, one day existed when events occurred in parallel that undoubtedly led me to this dark place. Not yet free on Amazon.co.uk. Feel free to promote amazon on the 'tell us about a lower price' link.